브라우저가 인라인 프레임을 지원하지 않거나 현재 인라인 프레임을 표시하지 않도록 설정되어 있습니다. Anchor: The Korean alphabet Hangeul has won the gold medal at the 2nd World Alphabet Olympics. Jang Souie has this report. Report: The Korean alphabet Hangeul came in first at the 2nd World Alphabet Olympics held last Monday through Thursday in Bangkok, Thailand. India’s Telugu won second place, followed by the English alphabet in third. Germany, Spain, Portugal, Greece, India and 22 other countries with their own writing system or characters derived from another country's alphabet took part in the event. Scholars from participating countries took 30 minutes each to explain the excellence of their unique alphabets, while judges from the United States, India, Sudan, Sri Lanka, Thailand and Portugal evaluated them. The alphabets were judged on origin, structure, functionality, number of characters, ability to make new sounds by combining characters and growth potential. The first World Alphabet Olympics were held in October 2009 with 16 countries competing. 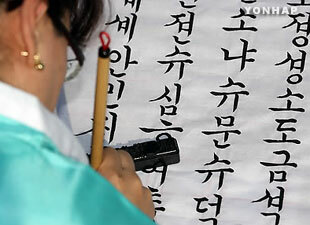 Hangeul won the contest that year as well, followed by the Greek and Italian alphabets in second and third, respectively. Former South Korean Ambassador to Lebanon Lee Yang-ha was the commissioner of this year’s Olympics. Lee said while the English alphabet is comprised of 26 letters, it can only make 300 sounds. He explained that with fewer characters at 24, Hangeul can make eleven-thousand sounds in theory and eight-thousand-700 sounds in reality. He added that Hangeul’s ability to convey information in a short period of time is second to none. 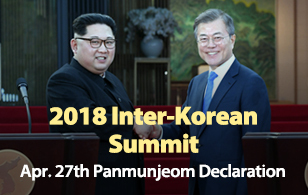 Scholars from participating countries announced the "Bangkok Declaration" on the last day of the Olympics and agreed to establish Korean departments and courses in their countries’ universities to further promote Hangeul. Jang Souie, KBS World Radio News. On-Air app is specifically designed for quick and easy access to audio services for KBS World Radio programs in 11 languages. Copyright © 2013 KBS World Radio All Rights Reserved. This website is sponsored by the Korea Communications Commission.